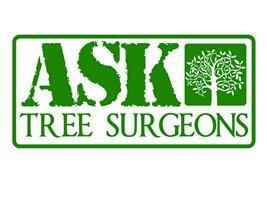 ASK Tree Surgeons - Garden Services, Tree Surgeon based in Upton, Dorset. We are ASK Tree Surgeons, a small company based in Upton. All of our friendly staff are fully qualified to take on any job. All appropriate insurance is in place and all of our work will be carried out to a high standard. Our reputation has been built on word of mouth. This means we keep our standard of work to a high level, thanks to our friendly and professional team.